This is a bit of a rambling blog post about Rationing, one of my many (odd) passions and obsessions. During World war two many basic goods had to be rationed so that there was enough of everyday goods to go around, this included clothing. Rationing of clothing began in 1942 and lasted until 1952. For many rationing meant doing what they did anyway. Repairing garments, cutting them down to fit children or relatives or giving them new uses such as using them for household textiles. Although, for those who had a larger budget pre-war the rationing limited the meant of clothing they could buy. An important point to note here is that a more expensive garment did not necessarily cost more coupons. At the begging of the war one could have 66 coupons per year which cold buy only a limited number of garments. By 1945 the number of coupons per person had fallen to 36, for a year this would have probably only allowed you to buy one or two outfits! 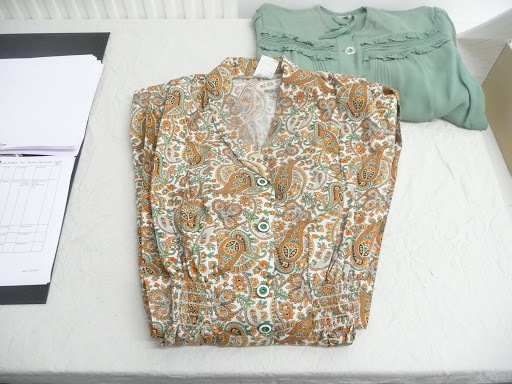 Of course despite rationing some people still found a way to buy new clothes, this included a black market (around 70,00 books were stolen in the early part of the scheme), or purchasing second hand garments which were coupon free. 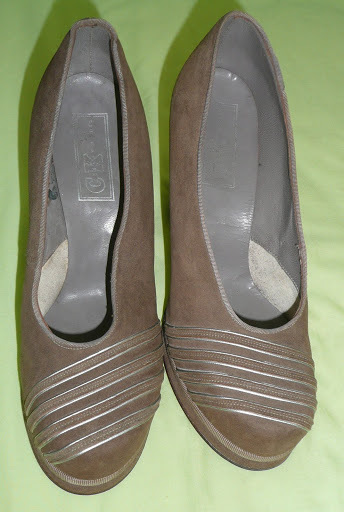 This is the only example of utility I own, a pair of shoes featuring the typical utility stamp. 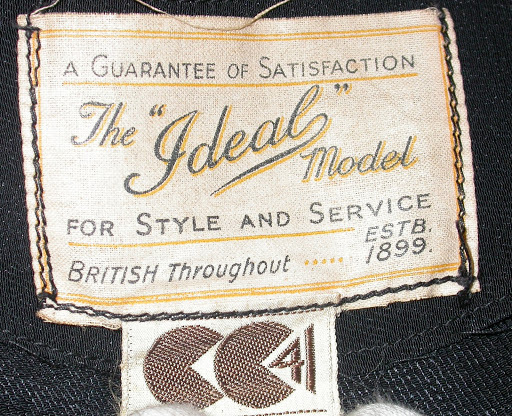 Some clothing during the 1940s contained a CC41 label. This label Rather than demonstrating a rationed product CC41 was a guarantee of quality. It allowed poorer people to buy decent clothing. 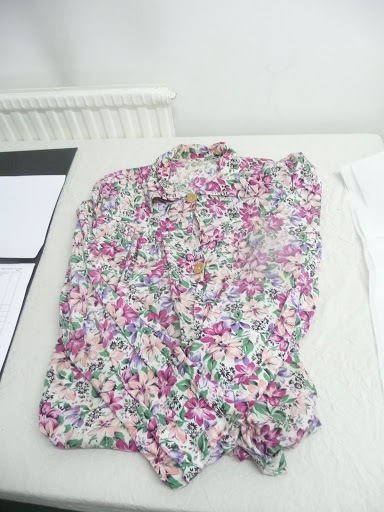 The scheme was designed so that all clothes met a certain high standard set out by the government, which included austerity, profit, distribution and tax regulations. This included dresses made of rayon that wouldn’t shrink, dyes that wouldn’t run and high percentage woollen blends. 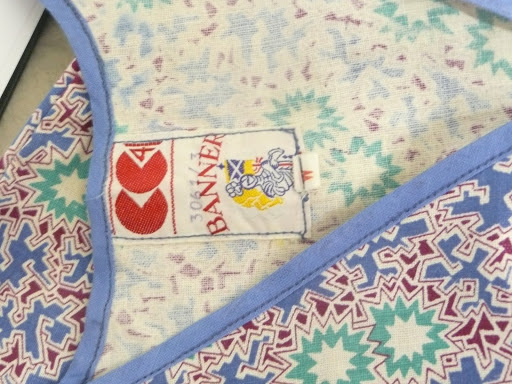 Two types of utility label are seen in clothing. One label features a stylised double c followed by the number 41. This denotes a standard cc41 garment. Reginald Shipp, a commercial designer for the company Hargreaves, designed this label. 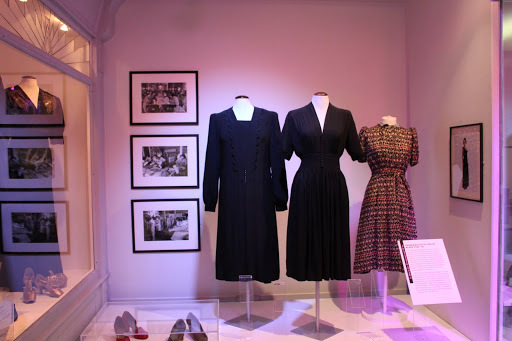 The two black dresses in the picture above are both from the Hampshire Museums service collection and are both Utility dresses (the little printed one is not) both feature the typical double c label, and the label for the long sleeved dress is also pictured. 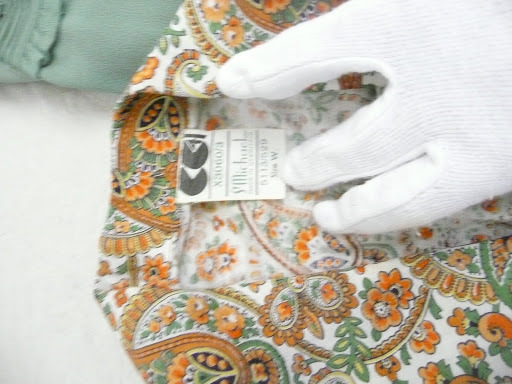 The other label found in cc41 garments features two lines either side of a circle which denotes the more luxury cc41 products. This label is known as the double elevens label, or colloquially the “dinner plate” label. It is thought this label was bought in post 1945 due to the negative connotations associated with the double cc logo. 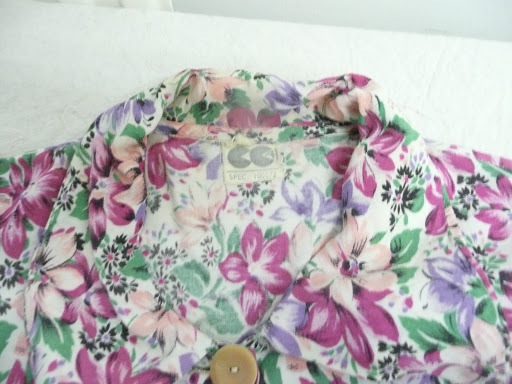 After the new look, which came into fashion in 1947, began to take over fashion the cc41 label suffered and came to represent the dull and detail free wartime restricted fashion. Rationing had to continue after the war finished in order to keep the economy steady. If rationing had not continued it is likely that there would have been high rates of inflation, like those in America. It is interesting to note that post war Britain had a large enough stock pile of wool to last 2 years, even though rationing of clothing continued. CC41 was of benefit to manufacturers as well as consumers. The companies who were producing CC41 items could have a larger workforce than those not adhering to CC41, and attain a larger amount of cloth, meaning they could make a larger profit overall. 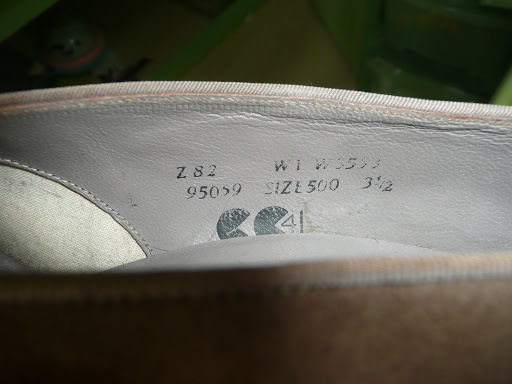 This is why around 80% of clothing produced between 1942 and 1945 were CC41. So there you go, only a very very brief overview of Utility and austerity. It is one of my absolute favourite topics and something I could literally go on and on about!